Utah is one of the most beautiful, and underrated, states in the US. From canyons to badlands to hoodoos, Utah has some of the most breathtaking natural views you will ever see. Escalante is just one of the incredible areas in Utah. While sightseeing alone could fill your entire trip, there are many other exciting things to do during your visit to Escalante. You will find that you do not have to travel far to discover a new attraction or activity. If you are lucky enough to have the chance to spend time in Escalante, don’t miss out on all that the area has to offer. Hiking is an activity that can be enjoyed by nearly everyone. Hiking through Escalante and the surrounding areas is an experience unlike any other. As you hike, you will see rock formations, natural structures, and amazing wildlife. A hike in the Escalante area is a hike you will never forget. There are many different areas to hike in Escalante, which are part of the Grand Staircase of Utah. While there are multiple places to satisfy your desire to hike, there are three specific areas that are quite popular. Calf Creek Trail is a very popular, and well maintained, trail in Escalante. It takes about three hours to hike the trail in its entirety. You will have the chance to see unique sandstone, explore the varying flora and fauna, and swim in a refreshing pool below a waterfall. Escalante River can be hiked along for a scenic, but strenuous, hike. For experienced hikers, the over 14-mile-long hike is a daunting, but exciting, journey. Most hikers will take two days hiking along the Escalante River. This is a fantastic hike to tackle if you’ve come to the area with hiking as your main goal. Hackberry Canyon is not a marked trail, but the path is an easy one to find and follow. This hike is approximately 19 miles long, and will take most hikers two days. You will see incredible sights throughout this hike, so be sure to look around, not at the path. Another hike for more experienced hikers, this is one that shouldn’t be missed. Fishing is one of the more leisurely activities among outdoorsmen and women. People fish for many different reasons, and the Escalante River is perfect for them all. Whether you are fishing purely for sport, and plan to catch and release, or you are looking to eat what you catch, you will find fishing in the area to be very enjoyable. There are many bodies of water in which to fish during your stay. Some of the most popular areas to fish are the Escalante River and Bryce Canyon area. If you decide you would like to fish after you arrive, there are many rental companies in the area. They will rent you all the gear you need for the type of fishing you will be doing. Even if you bring your own gear, it’s a great idea to stop into these businesses to get a feel for how the fishing will be. The people of Escalante will be more than happy to make sure your stay is enjoyable and the fish are plentiful. Horseback riding is one of the most unique ways to see the area. By riding on horseback, you are participating in an activity that used to be the only means of travel for natives and settlers in the area. Once you saddle up and get on the trails, you will feel connected to nature and history, all while taking in the views of Escalante and the surrounding area. There are many companies that supply horseback tours through the areas of Escalante. If you wish to give this activity a try, consider where you would like to ride and find businesses in that area. You won’t be disappointed with a horseback ride through this beautiful landscape. Biking is a fast-paced, adrenaline pumping activity. Many avid bikers are flocking to the southern Utah area for biking thanks to the diverse trails, unique challenges, and great trail quality. If biking is a hobby of yours, you won’t find a better place to do it than Escalante. It is important to check out which trails are available to be ridden before you arrive. There are many resources to find this information. You can also stop by a local bicycle shop or speak with park officials to get information about the trails. Golfing is another leisurely sport that is extremely popular. If you prefer to take it easy on the green, rather than climbing the red rock, Escalante, and the surrounding area, is the perfect place to visit. There are hotels located close to the golf courses, as well, so the trip couldn’t be more convenient. There are over ten incredible golf courses in the area. These courses can be done singularly, if you just want to spend part of the day on the links, or they can be combined into a package. Pick the courses you would like to play on and get out there! If you would like to get a feel for the history of the area, and its wildlife, you should consider visiting the Rosenbruch Wildlife Museum. This museum will take you through different rooms and exhibits of wildlife from around the world. This museum is perfect for adults and children, making it a great activity for the whole family. If you would like a day of rest indoors, the Rosenbruch Wildlife Museum is a great way to do that. Whether you love outdoor adventures or prefer a day indoors, Escalante has something for you to do. This is the perfect destination for those with a large, diverse group. In many areas, it is hard to find something that everyone wants to do. This is what makes Escalante such an incredible place to visit. There is literally something for absolutely everyone to enjoy. Young or older, adventurous or cautious, you will be able to fill your day with exciting activities. 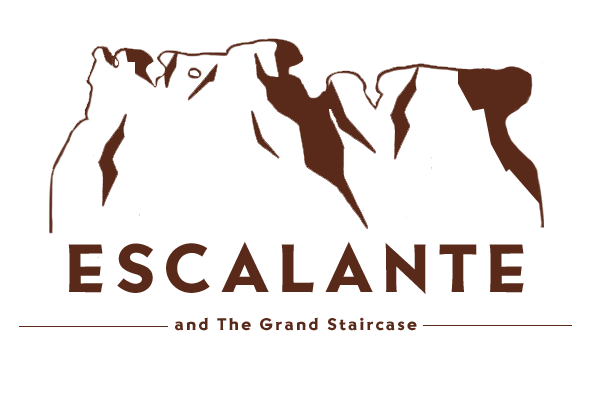 Escalante is waiting for you to come and customize your stay.